Typical financial analyst interview starts with a few simple, screening questions. We will inquire about your goals, attitudes, abilities, motivation, and experience, trying to get a basic understanding of your personality and skills. Describe a situation when you were under pressure. How did you handle it? The biggest mistake you’ve made in your job so far? What was the worst (and best) financial forecast you made? What systems and programs would you use to prepare illustrated technical reports using graphs, spreadsheets and draw charts? Once the initial excitement from a new job fades out, many financial analysts struggle with motivation in work. 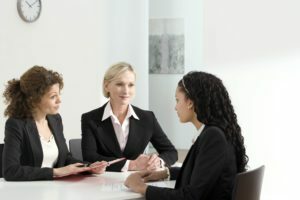 Your goal in an interview is to convince us that you love the job, that you see a meaningful purpose in it, that you understand the connection of your personal goals and goals of the business. Most of us work for money (you probably do not know many people who would go to their job without getting paid for doing it), but you should not talk about your salary in this interview answer. If we hire you, we will pay you quite a lot of money each month. Will it be our expense, or an investment that will eventually pay off? What do you think about it as an analyst? Many people will compete for the job with you. If you apply for an entry level FA position in an international corporation, you may compete with as many as thirty people. Can you convince us to hire you, and not one of the other job applicants? Why do you want to become a financial analyst? Why do you want to work for us, and not for some other company? Once we understand who you are, and what you want to achieve in life, we will progress to behavioral questions. Inquiring about your behavior in various work-related situations, we try to understand your attitude to work, how you deal with pressure, failure, success. We will also ask some questions regarding your experience with financial analysis, trying to understand your real knowledge of the job. Stress-free working environment slowly ceases to exist. Sad but true. Big corporations set targets for their employers, and these targets are often hard to achieve, what creates a lot of pressure on most people in the office. Can you admit your mistakes? Do you learn from your mistakes? Do you take responsibility, or do you always blame someone else, when things do not click as they should? We can understand a lot from your answer to this question. Other people will work with your analysis and study your reports. You will have to deliver them on time, and sometimes the deadline will be tight. Tell us how you had to meet a deadline, and what you did to ensure you’d meet it: working overtime, asking your colleagues to help you, planning your work to ensure you’d not waste any time, etc. We are learning all our lives, and the interviewers do not expect to meet impeccable job candidates in an interview. Speak freely about the bad forecast you made, and tell them how it helped you to become a better financial analyst. When talking about a good forecast, however, try to narrate how it helped your employer (or yourself) to achieve tangible goals (financial profit from the transaction, good decision the managers made, money saved, etc). If you apply for your first job, you can talk about the forecasts you made in school. Your attitude matters more than the particular situation you narrate. Describe a situation when you struggled to communicate something to your boss or to a colleague. What profitability models have you used for forecasting? Which model do you prefer and why? Technical questions form the third part of a typical interview process with a financial analyst job applicant. Your answers to these questions reflect your readiness for the job and your true knowledge of financial analysis. The difficulty of questions depends on the level of job you try to get (entry-level, intermediate, advanced). In this part of an interview, we expect to hear precise and correct answers from you (click a question to see sample answers to the particular question). Microsoft Excel is probably the first program you would mention, and it would be a good answer. Excel offers plenty of analytical, mathematical and statistical functions–all you need for both basic and (semi) advanced financial analysis. You just have to know how to work with the software. If possible, you should always add a practical example to your answer. We should see that you do not only read books and repeat blank definitions, but that you actually understand what the definitions mean for you, and for the employer. At the end of the day, precise answer will show us that you know your job: Financial modelling is an exercise in either asset pricing or corporate finance, an exercise of quantitative nature. Saying it differently, it is about translating a set of hypotheses about the behavior of markets or agents into numerical predictions. Describe the processes you use to create reports. Have you created month-end sales reports? How do you calculate a company’s cash flow? Which stocks do you frequently track? Why? What profitability models have you used for forecasting a project? Which model do you consider the best one? Are you familiar with developing business casing and ad-hoc analysis? When you are given a large financial analysis project, what is the first thing you do? Describe a project; what financial practices did you target in that project? 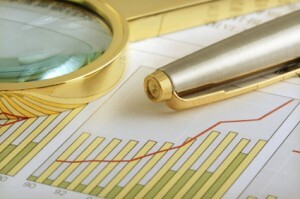 What methodologies do you use in your financial analysis? In my experience, more than ten people apply for nearly every entry level or intermediate financial analyst job opening. Most likely you will face some competition in your interview. We will screen out some people right in the beginning–they just won’t be ready to do the job. But you can expect at least two or three other job candidates to have good knowledge of financial analysis, and to offer decent interview answers to the most difficult questions. Only one person typically gets the job, however. It will be the one who offers great answers to our questions, and manages to somehow stand out from the other job candidates. Try to show motivation and enthusiasm. Devote enough time to pre-interview research, learn as much as you can about the company. Come up with the best possible interview answers. If you have strong interpersonal skills, you can try to build relationship with your interviewers, winning them over during the interview. I hope that our website will help you to get rid of stress, and prepare great answers to some of the interview questions for financial analysts. If you look for advanced help, however, if you want to prepare better than your competitors, you can check my eBook – Financial Analyst Interview Guide, in which you will find brilliant answers to all difficult behavioral and technical interview questions, and a step by step guide on how to ace your interview.